On a sidewalk crowded with people moving at the pace of a typical New York City day, nobody stands out. Eventually, a man appears in the back of the frame who gradually attracts our attention. There’s nothing extraordinary about him except he’s a bulky man, and he’s labouring more than anyone else in the summer heat. He’s wearing a white shirt with the sleeves rolled up, black vest and tzitzit, and our initial impression is of an overgrown child. It’s the perfect introduction to Menashe, and Menashe. We have the sense that writer-director Joshua Z. Weinstein’s camera could have followed any face in the crowd. That’s an unusual feeling to have in a fiction film, but there are more than eight million stories in the naked city, after all. The effect, though, is to imbue Menashe, from the outset, with the requisite naturalism for a riveting, Yiddish-language character study of a working-class Chassid on the margins of both his religious community and society at large. The motor of the film is Menashe’s ham-fisted determination to raise his adolescent son, Rieven, by himself in the months following his wife’s premature death. His tenacity is understandable, for the boy and Jewish songs and scripture are Menashe’s only interests. The religious leader, the ruv, while not unsympathetic, maintains that Rieven be raised in a “proper home” with a father and a mother. Given the unhappiness of his first, arranged marriage, Menashe (beautifully played by Menashe Lustig) is in no hurry to remarry. So, the boy lives with Menashe’s annoyingly self-assured brother-in-law, Eizik (the excellent Yoel Weisshaus), and his family in a nice home instead of at Menashe’s no-frills walk-up apartment. Rieven doesn’t mind, but it’s a continuing affront to Menashe’s self-respect and sense of responsibility. Menashe is an exception among the many films about Orthodox Jews in that it does not involve a tug-of-war between tradition and the modern world, or the conflict between secularism and faith. The central dynamic in Menashe is class, which gives the viewer an unusual angle from which to view the ultra-Orthodox community. 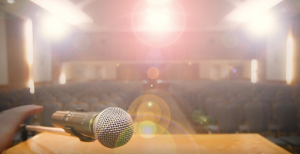 This film scarcely visits a yeshivah and the Chassidim with the long coats like Eizik, which are so familiar to us, are supporting characters – although it is plain that they are at the centre of community life. Menashe, for his part, can’t get no respect. He works in a grocery market, a job with no status (regardless of how exceedingly moral he is) and low pay. There’s a picaresque scene where he’s enticed into having a 40-ouncer of cheap beer in the back of the store with a couple of Hispanic co-workers. Though the language barrier prevents Menashe from bonding with them past a certain point, he seems more comfortable in his own skin in their company than with the Jews in his circle and their judgments and expectations. Our sympathies are with Menashe, of course, as they’d be with any single parent struggling to make ends meet and get a little ahead. But he’s far from perfect, and that smart move by Weinstein is what elevates the picture to the level of pathos. Menashe is short-tempered, stubborn, perpetually late, fond of the occasional drink(s) and always playing catch-up. He’s the last to recognize that his character flaws, along with his circumstances, make him the biggest obstacle to establishing a stable life with Rieven. Menashe is rife with the small truths of life – every father disappoints his son at some point, and vice versa – and the amusing, unexpected moments that occur every day. It’s a warm, generous film that doesn’t shy from sentimentality but doesn’t insult its audience, either. Ultimately, it introduces us to a memorable character whose resilience is, in its way, inspiring. Menashe is a small film, but it’s a special one. Menashe opened Aug. 11 at Fifth Avenue in Vancouver. It is rated PG for thematic elements, and is in Yiddish with subtitles. A small Israeli ultra-Orthodox newspaper in Israel became the target of international ridicule earlier this year after blotting out the faces of three women from a prominent photo of 40 world leaders. Heads of state were marching through the streets of Paris to demonstrate solidarity with France, opposition to terrorism and support for freedom of expression after Islamic State sympathizers murdered journalists at the satirical magazine Charlie Hebdo and Jewish hostages at a kosher market in a Paris suburb. HaMevaser, which serves an insular Israeli community indifferent to modernity, seems to have missed the point of the march. HaMevaser editor Binyamin Lipkin defended the altered photo, insisting a photo in the newspaper that included German Chancellor Angela Merkel, Paris Mayor Anne Hidalgo and European Union official Fedrica Mogherini would “desecrate” the memory of the 17 people who were killed. The incident once again drew attention to the fanaticism of the ultra-religious community in Israel that demands the complete removal of all photos of women in public spaces, tight restrictions on the role of women in public life and severe limits on education for both boys and girls. Two books, written in a conversational style, came out recently that shine a glaring light on recent controversies sparked by the ultra-Orthodox in Israel. Reading them together provides a broad understanding of the issues. The War Within: Israel’s Ultra-Orthodox Threat to Democracy and the Nation (Overlook Press, 2013) by journalists Yuval Elizur and Lawrence Malkin, looks at several flashpoints that, the authors say, will invariably turn into even more difficult social, economic and political problems as the ultra-Orthodox population grows. 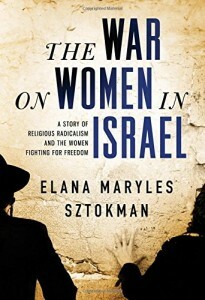 The War on Women in Israel: A Story of Religious Radicalism and the Women Fighting for Freedom (Sourcebooks Inc., 2014 ) by feminist activist Elana Maryles Sztokman, is an unrelenting assault on Israeli society for accepting blatant discrimination against women in almost every aspect of their lives. At times, the book reads like a social activist’s pamphlet demanding justice. Israel ranks near the bottom among world democracies on the right to religious freedom. The books are reports from the frontlines in the fight for equality, and will be disturbing for those concerned about civil rights in Israel. The writers leave the impression that radical religious voices are shredding the fabric of the country. Both books offer portraits of the ultra-Orthodox communities and a brief account of the historical context that led to the current problems. The perspective is clearly that of outsiders who have little patience for the ultra-Orthodox way of life. Nevertheless, it is difficult to ignore what they say. Roughly 10 percent of the country and one-third of Jerusalem are ultra-Orthodox. Those numbers will likely explode within a generation, if current trends continue. The birthrate within the ultra-Orthodox community is twice the national average. As the children grow up, the impact of the ultra-Orthodox community will be felt in many different ways throughout Israeli society. Students in ultra-Orthodox schools spend their day studying religious texts, paying scant attention to core subjects of English, math and science. Elizur and Malkin say that most students complete their formal schooling without the education or skills to work in a modern economy. Several ultra-Orthodox schools go further, refusing to allow girls to write final exams in core subjects in order to ensure the girls do not leave school with a high school diploma. Meanwhile, the economic life within the ultra-Orthodox community is grim and will likely degenerate even further as their numbers increase. The Taub Centre for Social Policy Research, in a report released in December, pegs the poverty rate in the ultra-Orthodox community at 66 percent in 2013, an increase from 60 percent in the previous year. The ultra-religious have the lowest participation rate in employment in the developed world. And it’s not just a Jerusalem phenomenon. Ultra-Orthodox communities are scattered across the country. In the ultra-Orthodox community of B’nei Brak, half of all children live in families below the poverty line. Both books provide an account of the historical roots for these circumstances. The ultra-Orthodox communities have relied almost entirely on national subsidies since the creation of the state in 1948. At that time, the rabbis argued that studying Torah and praying had ensured the survival of the Jewish people through centuries of wandering and persecution. The founders of the state wanted to maintain the Jewish nature of the state. Religious authorities were given unqualified control over marriage and divorce. David Ben-Gurion agreed to exempt the ultra-Orthodox from military service and pay them to spend their days studying in a yeshiva. In exchange, he expected to receive their support in the Knesset. The arrangement was a trade-off endorsed by most Israelis for more than 50 years. But demographics have shifted. In 1948, 4,000 students were studying in a yeshiva. Today, around 120,000 students study full-time and are dependent on allowances from the government. Many Israelis now are not so comfortable with the arrangement. The trade-off has also meant that Israel does not have a constitution guaranteeing individual rights and freedoms. The ultra-Orthodox at that time refused to support a constitution, mostly to prevent shifts in the status of women, the journalists say. The country’s founders forged practical arrangements without any long-term vision, say Elizur and Malkin. It was a colossal mistake. Successive governments have maintained the status quo, in effect placing huge barriers for those fighting for changes. As women have asserted their right to be treated equally, religious zealots have escalated their tactics, moving from bullying and shouting to spitting, shoving and throwing rocks. The ultra-Orthodox succeeded in pressuring Israeli public and private companies to ban female faces on transit ads and force women to sit at the back of the bus. Weak protection for secular values, coupled with liberal tolerance for diversity, enabled the ultra-Orthodox to push bus companies in Israel to segregate 150 bus lines across the country, Sztokman writes. The arrests of women who sing, wear a tallit or pray at the Western Wall have been widely reported. These books provide numerous anecdotes about the confrontations on many fronts, including some outrageous instances of the struggles that some women face in obtaining a Jewish divorce from a vengeful husband. Around 10,000 women in Israel are in limbo, unable to obtain a get (a divorce decree) from the religious courts. Elizur and Malkin also look at the government-funded rabbinic councils that operate under a minimum of oversight and with their jurisdiction only loosely defined. They assert control over everything from certifying pensions funds to ensuring that water is kosher. Women disproportionately feel the impact of the institutions run exclusively by males. None of the judges in the religious courts are women. Until recently, even all the supervisors of the mikvehs were male. The lack of accountability and vagueness over roles has cleared the way for the rabbinical authorities to attempt to expand their control over the lives of all Israelis. Imprecise boundaries have led to recent flare-ups over matters of division of property, child custody, alimony, child support and education. The army is struggling to find a compromise for ultra-Orthodox who are now enlisted. A battle over jurisdiction over circumcision was recently in an Israeli court. The power of the religious authorities is on display in the most unexpected places. A produce market has separate shopping hours for men and women. Women’s voices disappear from the radio. A women’s health conference excludes accomplished women researchers and prominent women doctors from its program. Young girls cannot sing in public. Daughters are not allowed to stand by the grave of their fathers to say Kaddish. Despite the dark portrait of the religious divide, both Sztokman and journalists Elizur and Malkin find reasons to be hopeful. Restrictions on seating on buses have been lifted on some lines; women’s faces are returning to some billboards on the street. Even the Women of the Wall can claim some victories. Momentum is clearly on the side of the ultra-Orthodox. However, a backlash against the most extreme measures has begun to undo some excesses. 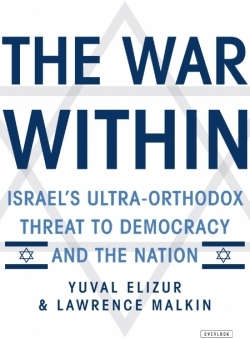 The authors also find some members of the ultra-Orthodox community are working to change the system from within. 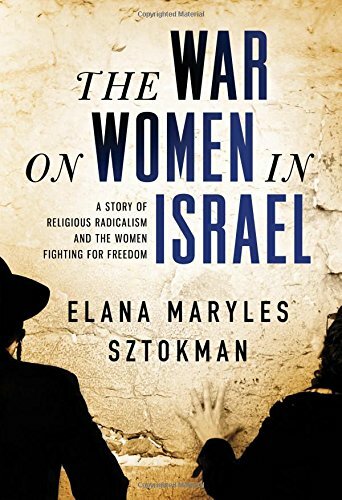 Sztokman, for example, finds hope for religious pluralism in Israel from the work of an emerging alliance of Orthodox feminists and secular activists who are pushing for a more egalitarian country.